News has emerged today that one of Britain’s biggest mobile phone companies has suffered a huge breach of its systems, exposing an estimated six million user account details to compromise. This represents two thirds of the company’s customer base. Believed to have been a hack through an authorised employee login, the hackers were able to access the customer upgrade database. A spokesman for Three said, “Over the last four weeks Three has seen an increasing level of attempted handset fraud. This has been visible through higher levels of burglaries of retail stores and attempts to unlawfully intercept upgrade devices. We’ve been working closely with the Police and relevant authorities. To date, we have confirmed approximately 400 high value handsets have been stolen through burglaries and eight devices have been illegally obtained through the upgrade activity”. Three added that the data accessed included names, phone numbers, addresses and dates of birth, but added that it did not include financial information. Customers whose data has been affected have not yet been informed at this time. However the speed of intercept is indicated by the revelation by the National Crime Agency that they are investigating the breach and that three people have already been arrested, two for computer misuse and one for perverting the course of justice. With the Chancellor, Philip Hammond’s speech at the beginning of November calling on companies to do more to protect their customers against cyber crime after the series of high-profile breaches in the last few years, the commercial imperative for businesses to create stronger security measures with GDPR on the horizon shows that the need for diligence in compliance is greater than ever. Consultation opens on BS 10010 which seeks to bring government-style information classification schemes to public organisations and end inadvertent data leakage. Classified? BS 10010 says, think before you send. A BSI standard which promises to end inadvertent data leakage is available for public consultation. The aptly binary standard, BS 10010 “Information Classification, Marking and Handling (ICMH)”, is designed to ensure that people within organisations who are sharing information will automatically mark the data with its information classification – such as sensitive, confidential, company confidential. If sharing information with another BS 10010 compliant organisation, the sender would be assured that the recipient would follow the same procedures for handling that information. “It’s designed to make people think carefully about how they classify information,” said Dr Andrew Rogoyski, vice president of cyber security services at CGI UK, who initiated the development of the standard with the British Standards Institute (BSI) two years ago. The BSI set up a committee to create the standard and a draft for public consultation has been published on its website. The consultation will remain open until 27 December 2016. The standard doesn’t prescribe specific solutions, hopes are that it will prompt developers to create word processing and email software that will automatically prompt users to classify documents as they produce them. Such systems already exist as add-ons to existing software but he said they lacked coherence. BS 10010 would help standardise the implementation of the systems and ensure compatibility within organisations and between third parties. With the General Data Protection Regulation (GDPR) coming into force on 25 May 2018, BS 10010 may have come at just the right time. National information regulators such as the UK’s ICO will be empowered to levy fines of up to four percent of an organisation’s global turnover. One estimate following the recent Tesco Bank breach put the potential cost to Tesco (as the parent company of Tesco Bank) at as much as £1.9 billion if GDPR had been in effect. It is hoped that BS 10010 will be adopted by organisations keen to tighten up their data classification systems. BS 10010 is open for public comment on the BSI website until 27 December 2016. 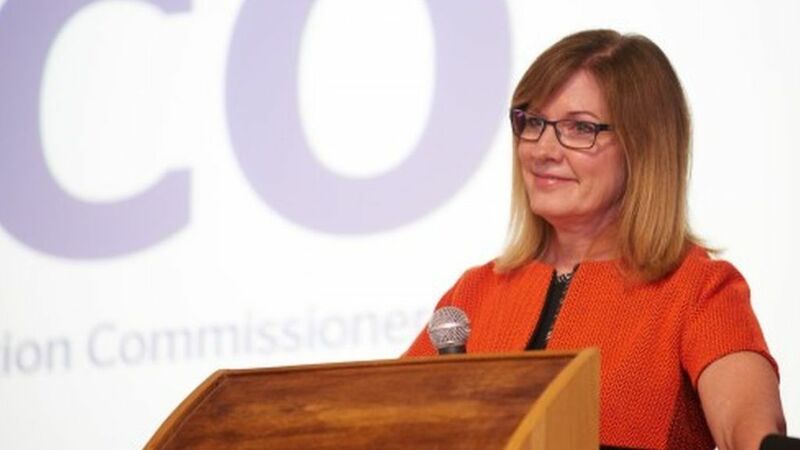 Elizabeth Denham the UK Information Commissioner confirmed on 31st October 2016 that the UK would be implementing the EU General Data Protection Regulations. Elizabeth Denham confirmed, “I see this as good news for the UK. One of the key drivers for data protection change is the importance and continuing evolution of the digital economy in the UK and around the world. That is why both the ICO and UK government have pushed for reform of the EU law for several years. The digital economy is primarily built upon the collection and exchange of data, including large amounts of personal data – much of it sensitive. Growth in the digital economy requires public confidence in the protection of this information. Citizens want the benefits of these digital services but they want privacy rights and strong protections too. Having sound, well-formulated and properly enforced data protection safeguards help mitigate risks and inspire public trust and confidence in how their information is handled by business, third sector organisations, the state and public service. The major shift with the implementation of the GDPR will be in giving people greater control over their data. This has to be a good thing. Today’s consumers understand that they need to share some of their personal data with organisations to get the best service. But they’re right to expect organisations to then keep that information safe, be transparent about its use and for organisations to demonstrate their accountability for their compliance”. As Amicus ITS reported in our blog on 14th October 2016, the Information Commissioner’s Office is committed to helping UK businesses and public bodies to prepare to the meet the requirements for GPDR ahead of May 2018 and beyond. It’s 12 point plan for business is published and all organisations are urged to review it against their current data protection measures. Elizabeth Denham added: “I acknowledge that there may still be questions about how the GDPR would work on the UK leaving the EU but this should not distract from the important task of compliance with GDPR by 2018. We’ll be working with government to stay at the centre of these conversations about the long term future of UK data protection law and to provide our advice and counsel where appropriate”. The ICO advise they will be publishing guidance on different areas over the next six months. Amicus ITS will ensure that we share these with you as they arise so you can best prepare your organisation for the tighter regulations, responsibilities and accountability. The Chancellor, Philip Hammond announced on 1st November 2016 the UK Government’s plans for a new £1.9 billion strategy to defend the nation against cyber attack over the next five years, as well as outlining a more attacking stance on going after those who would seek to do the nation harm. 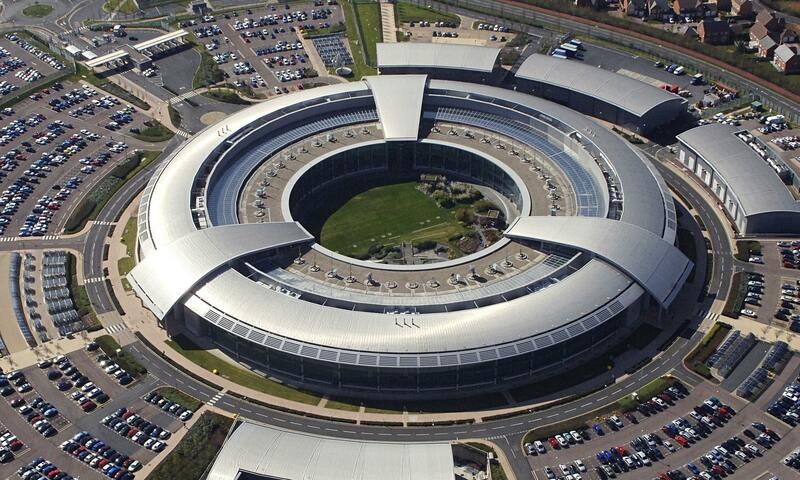 The Government announcement follows the recent speech from the National Cyber Security Centre’s Director General, Andrew Parker and warnings from the head of MI5 about the increasingly aggressive behaviour in cyberspace from nation state threats from countries like Russia. Russia is suspected of trying to influence the US elections by creating distrust in the electoral process, plus the usual espionage, subversion and cyber attacks. All in all – the stakes continue to escalate in volume and severity of national scale. Unsurprisingly, the Kremlin has dismissed the allegation. In addition, the recent targeting of WIFI-enabled domestic appliances to create a DDoS attack to seek to disable specific websites via the Internet of Things (IoT), has started to create uncertainty in the minds of the public as to what they can trust with technology. The situation is not helped by a lack of education around the need to create fresh passwords on receipt to avoid default factory settings which can be overrun. Neither is the situation helped if the manufacturers install a factory setting password which in itself cannot be changed. What the £1.9 billion is expected to translate into is specialist police units to tackle organised online gangs, some money towards education and the training of 50 cyber security specialists at the National Cyber Security Centre. Where historically, it was the Americans who sought to confront Russia, the UK’s desire to have a visibly active stance should be welcomed by UK business, although much will depend on whether we get enough ‘boots on the ground’ or ‘hands on the keyboards’ to counter the high volume of lower end cyber attacks which has been identified as a real need. The EU General Data Protection Regulations (GDPR) which are already in force, become law formally from 25th May 2018. Many businesses have not started to take countermeasures to review their data protection. Recent analysis published by the Payment Cards Industry Security Standards Council (PCI SSC), using survey figures from the Office of National Statistics, suggested that there were 2.46 million ‘cyber incidents’ in 2015. If the Information Commissioner’s Office (ICO) were notified of every breach and imposed the maximum penalty, this would result in large organisations facing fines totalling £533m and SMEs having to pay £908m under the existing data protection laws. 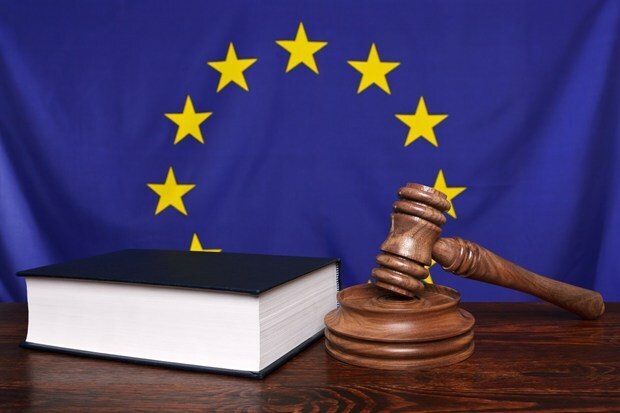 Under the new GDPR law this would result in a truly massive hike in financial penalties for the same offences – triggering fines of £70bn for major organisations and £52bn on SMEs. These estimates are based on a maximum fine being levied on day one of the breach under the rules and each national information commissioner is likely to be more lenient in the early stages of EU GDPR implementation. Added to this, following Brexit, the UK data protection legal landscape and penalties have yet to be defined. However, businesses operating internationally nonetheless have to work within the GDPR framework and many are now starting to appoint data protection officers. The message is clear – businesses cannot afford to dally. Whatever the size, all organisations need to start their preparations now. Companies should conduct reviews to understand and map their data and put in place robust standards and procedures around the management of data to counter any cyber security threat. Only by taking these steps can organisations seek to avoid the increasingly overwhelming size of fines that could legitimately be imposed.